Remember when driving was fun? Those days when, the moment you got those keys in your hand, you could feel the road out there, calling to you? Though you might think those days are over, you can have them again, with the 2019 Fiat 124 Spider! A sleek and beautiful roadster that is as inspiring to look at as it is to drive, the 2019 Fiat 129 Spider is the modern classic you can have today on most any budget, starting at just $24,995! 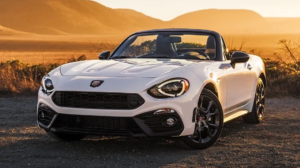 Ready to buy a 2019 Fiat Spider in Fayetteville, Arkansas? Then stop in today at McLarty Daniel Chrysler Dodge Jeep Ram Fiat in Springdale for a test drive, or check out our selection of 2019 Fiat 124 Spider models online right now. SOUL-STIRRING DESIGN: Have you ever owned a true sports car? Not a Mustang or Challenger, but a true, two-seat sports car built for carving corners and blasting through straightaways? If you have, you’ll never forget the feeling. If you haven’t, what are you waiting for? Inspired by the legendary 1966 Fiat 124 Spider that is coveted today by collectors and road-racing fans, the 2019 Fiat 124 Spider features a curvaceous and exhilarating design that never forgets everything great about its thoroughly Italian forebears. Available in three exclusive trim levels — Classica, Lusso and the high-performance Abarth — the 2019 Fiat 124 Spider features a classic roadster look, starting with a long, sculptural hood with lines that flow back from a wide grille and over those curvaceous Italian rear fenders, ending in a classic short decklid for a lean, wolfish look. Available in six beautiful colors, the 2019 is a drop-top dream machine that is built to put the fun back into driving. A COCKPIT TO IMPRESS: If you’ve ever driven one of the old-school two-seat roadsters, you know the interiors in most was a rather spartan affair, with not much more than a steering wheel, two seats, a shifter and a speedometer to let you know how much fun you’re having. That was then, and the 2019 Fiat 124 Spider is now. The 2019 Fiat 124 Spider’s interior proves that you can have a performance roadster that’s still comfortable and connected. Slip into the cockpit-style interior with flow-through console, and you’ll find the luxury of available heated seats with premium leather trim, contrast stitching and ergonomically-designed bolsters to help keep you firmly planted when shooting through the curves. Grip the leather-wrapped steering wheel, and keep an eye on your speed thanks to the heritage-inspired, triple-circle gauge cluster. Need some music? The available nine-speaker premium audio system by Bose will help you bring the noise, while the Fiat Connect 7-inch touchscreen in the center dash helps you find your way. LEGENDARY FIAT PERFORMANCE: When a car looks like the 2019 Fiat 124 Spider, it had better be packing the performance necessary to back up those sporty looks. The 2019 Fiat 124 Spider delivers on that promise and then some, with the most powerful four-cylinder in its class: the 1.4-liter MultiAir Turbo. Packing twin intercoolers, a fresh-air induction system, dual stainless steel exhaust tips and four valves per cylinder, the MultiAir turbo delivers an exhilarating 160 horsepower and 184 pound feet of torque, for a truly pulse-pounding drive in the 2.400-pound Spider. Backed by either a six-speed manual with a short-throw shifter or a six-speed automatic with wheel-mounted paddle shifters, the 2019 Fiat 124 Spider puts the power to the ground thanks to the available sport-tuned suspension by racing provider Bilstein and a perfect 50/50 weight distribution for the ultimate in control. Want even more fun? Check out the available touring suspension, with race-inspired double-wishbone front suspension and multi-link rear, with electric power assist steering that can adapt to match your driving style. It’s time. Stop commuting and start driving again, with the incredible, affordable, heritage-inspired 2019 Fiat 129 Spider. Why buy a Harley-Davidson in Northwest Arkansas for more when you can have all the open-air thrills for thousands less, without the two-wheeled risk? Ready to buy a 2019 Fiat 129 Spider in Fayetteville, Arkansas? 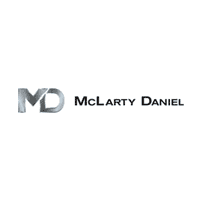 Then stop in today at McLarty Daniel CDJRF of Springdale and take a test drive. With an inspiring mix of stirring design, stunning performance and athletic handling, the 2019 Fiat 124 Spider is the car that will help you learn to love the drive again.